Video footage of two separate sightings of a large feline at a property within 50km from Lismore will be sent to the Taronga Western Plains Zoo in Dubbo. 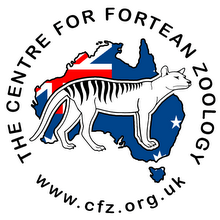 Experts at the division of Taronga Zoo should be able to determine the nature of the animals on the recordings, according to the Northern Star newspaper. Shaun Britz of Nimbin confirmed he received the video from a friend of his who preferred to remain anonymous. The recordings were done at the same property by the landowner with a video recorder. The recording showed two different sightings, the second one "recorded three months after the first one, at the same property," Mr Britz. Both pieces of footage showed the animal moving around a property, at a distance of over 100m from the camera. 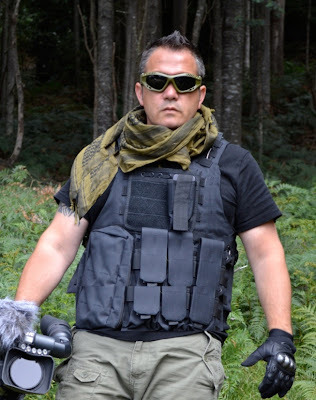 The videos were recorded months before Shaun Britz's sighting last week. He said he received the video last week after he saw a big feline while driving along Shipway Rd, near Nimbin Rocks. 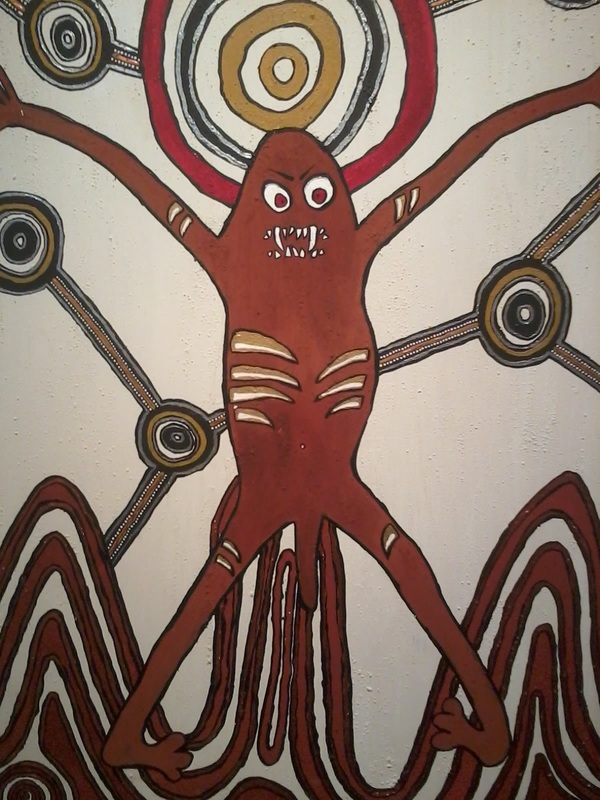 "It is definitely the same type of animal that I saw. It is the same jet back colour," he said. 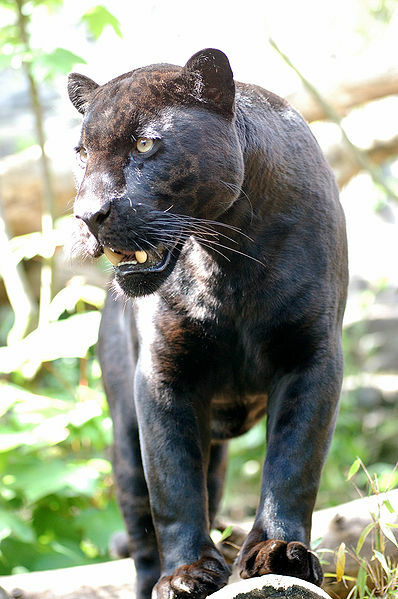 He said that the big cat in the video, which he suspects could be a type of panther, runs as fast as the animal he saw nearby Nimbin. 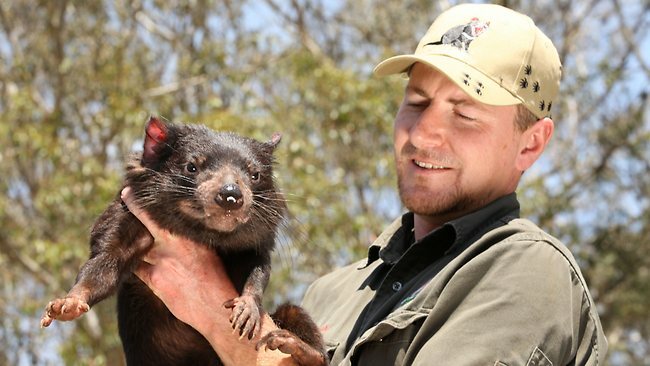 Shaun Britz said there was anecdotal information on the Internet of similar sightings from Western Australia to Queensland. He added it would be good to have scientific information confirming their existence and where are they located, but they should not be exterminated. "There has been no attack to humans, I see no reason why we should hunt them down. They seem to feed on wild animals and the odd livestock," he said. 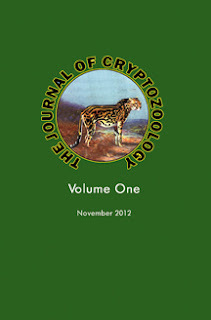 A great piece by Darren Naish about the new Journal of Cryptozoology (CFZ Press), the history of similar publications, and why cryptozoology should be taken more seriously. 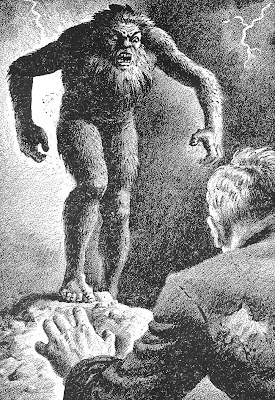 "...cryptozoology cannot and should not be considered a pseudoscience. Why? Mostly because there is no contradiction whatsoever between the scepticism, hypothesis-testing, self-correction and need for autoptic evidence typical of ‘proper’ science with analyses of cryptozoological data, nor does investigation of cryptozoological data hinge on the assumption that there are always real, flesh-and-blood animals at the bottom of eyewitness reports. 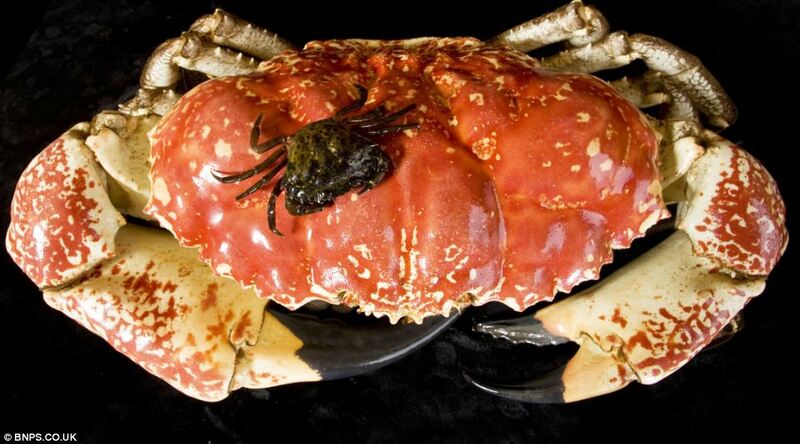 Read the full post over at his Scientific American blog here. 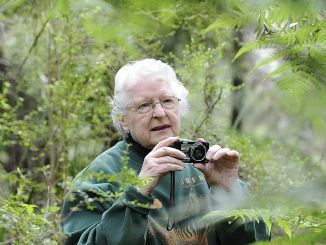 Author Sue Taylor, a 'twitcher' from Melbourne, Victoria, talks to ABC Radio about her new book John Gould's Extinct and Endangered Birds of Australia. In 1838, John Gould, the 'father of Australian ornithology', visited Australia with the intention of gathering material for his great work on Australian birds. 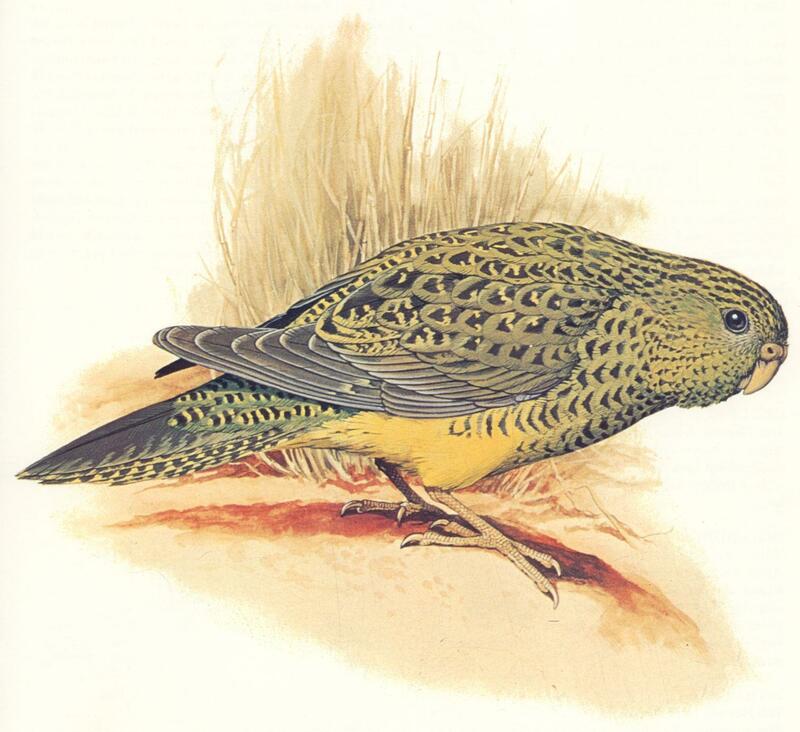 In the resulting publications, The Birds of Australia: In Seven Volumes (1848) and the accompanying Supplement (1869), Gould gave over 180 Australian bird species their scientific names. John Gould's Extinct and Endangered Birds of Australia features 59 plates of birds from Gould's eight-volume work, birds that today are threatened or that no longer exist. Featuring exquisite full-colour lithographs reproduced from the National Library of Australia's copy of The Birds of Australia, this book gives an insight into the history of each bird's European discovery, as well as its subsequent fortunes or misfortunes. A detailed description of each species, its habitat, its habits, current threats and more are also included. 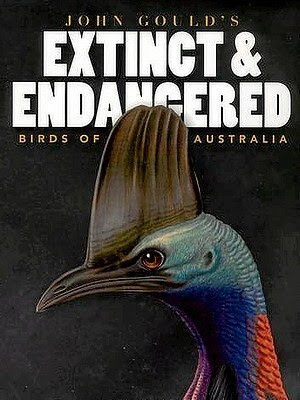 A sobering reminder of all that we have lost, this book provides and opportunity to reflect on how we might also take action to protect and preserve the birds for whom it is not too late. 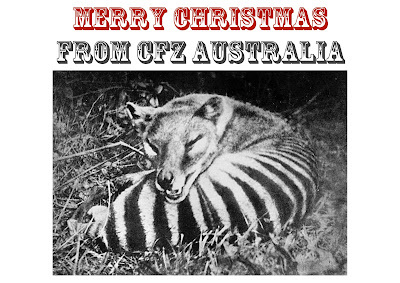 It's that time of year again - all the best for you and yours! 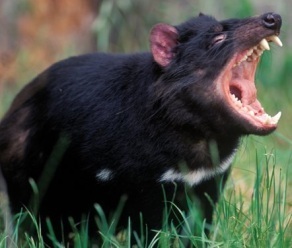 This two-year-old Tasmanian devil, nicknamed Princess Mary by keepers, arrived recently at the Devil Ark - a breeding site established in the NSW Barrington Tops in 2010 to protect the species from extinction. Supervisor Adrian Good said Princess Mary was important because she was genetically diverse to the 120 devils already thriving at the site. Claude the Tasmanian giant crab, was saved from death when the fisherman who caught him sold him to a British aquarium for £3000. 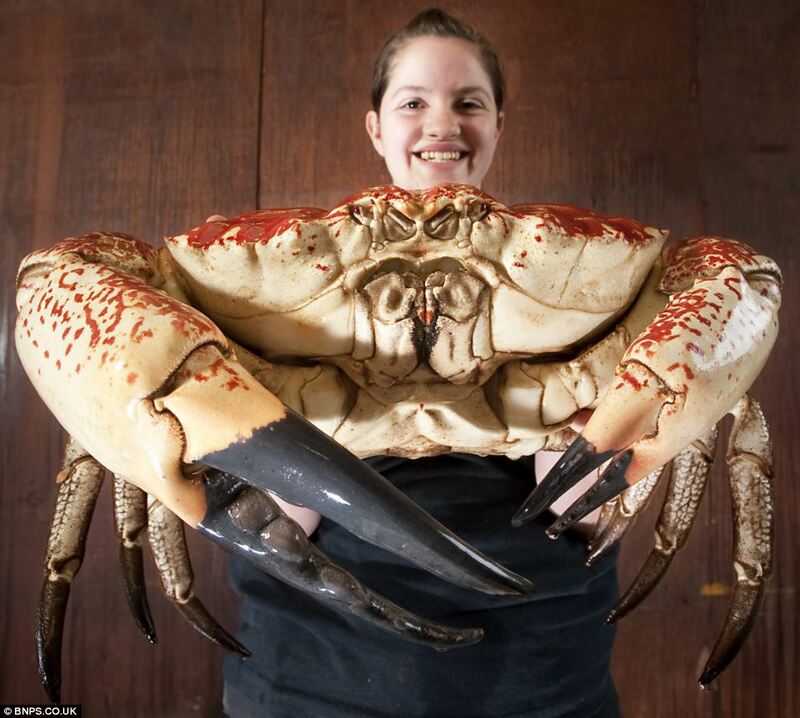 A 29-hour plane journey from Australia later, and a short stint in quarantine, Claude is now ready to meet the British public at the Sea Life centre in Weymouth, Dorset. The hefty crustacean weighs a mighty 15lb with a 15-inch shell – 100 times bigger than a standard UK shore crab - but will grow to double his weight. 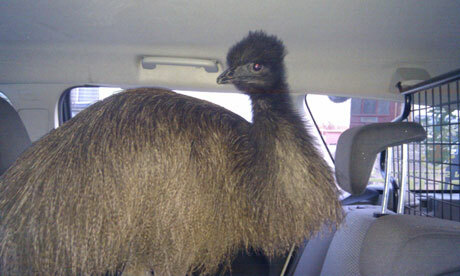 A fugitive emu that went walkabout in a north Devon town has been apprehended by the police. Amazed residents called the police and two officers seized the flightless bird before it could wander into rush-hour traffic in Barnstaple. They held the animal – originally a native of Australia rather than south-west England – in the back of their patrol car for half anhour before an animal ambulance arrived and took it away. Officers are searching for the owner of the bird. Acting Sergeant Zoe Parnell said she had just begun her shift at 7am on Wednesday when she got a call that an ostrich was on the loose in Riddell Avenue, a residential street in the town. "I thought it was a wind-up," she said. "I thought we'd arrive and it would be a turkey or something like that." She rushed to the scene, where she was joined by police community support officer Stephen Huxtable. Parnell said she wasn't sure what the creature was but knew that they had to stop it reaching the main road, where the bird could have caused rush-hour chaos. "It was trying to get into people's houses. Obviously it was finding that difficult, and would try the next one. I must admit that while I'm not normally scared of birds, I was a bit nervous with this one." It fell to Huxtable to seize the bird and put it in the back of the police car. Like many others apprehended by the police, the emu was not happy. "There was a lot of wee-ing and poo-ing and flying feathers in the back of the car," said Parnell. "It's going to have to be specially cleaned." She thought about giving the bird a drink from her water container "but it was a bit distressed so I thought it was better to leave it", she said. Instead, the officers called for backup from Diana Lewis, north Devon's "animal angel" and a leading light in North Devon Animal Ambulance. The emu remains in her care while the search for the owner continues.The Department for Environment, Food and Rural Affairs said it was not necessary to have a licence to keep an emu. 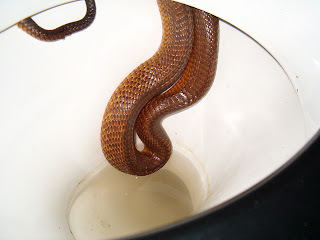 However, Wendy Higgins of the Humane Society International/UK flagged up concerns: "In Britain, we keep more exotic wild pets than cats or dogs, and often residents can be completely unaware they are living next door to a python or a primate. Often it is only when an escape or an accident occurs that their existence is revealed. "Unbelievably, there is no definitive national register of the number and variety of exotic animals being kept in the UK or traded globally. "Wild and exotic animals are not pets, but a welfare disaster waiting to happen. It is high time the appalling commerce in wild animals for the pet trade was brought under serious control and preferably banned altogether." 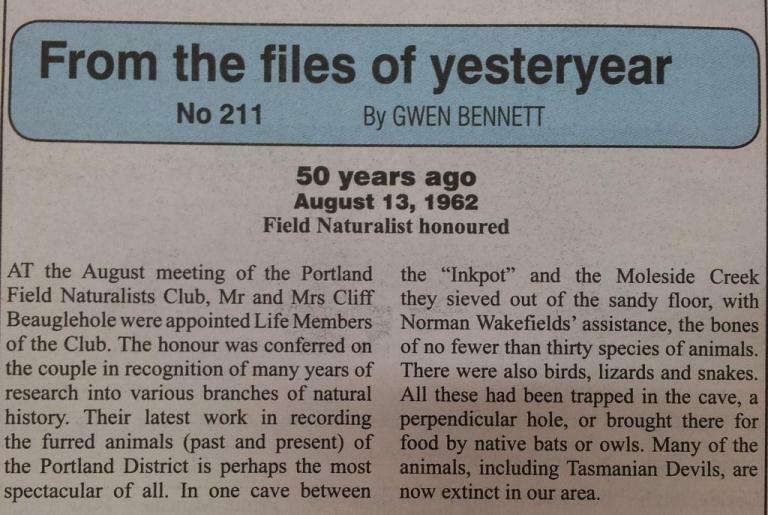 Emus used to fall under the Dangerous Wild Animals Act 1976 but have been delisted. Higgins said: "However, the list of species covered has been seriously reduced, many local authorities fail to effectively enforce he legislation, and there are serious questions regarding the competence of those that do. As a result, non-compliance levels are believed to be high." 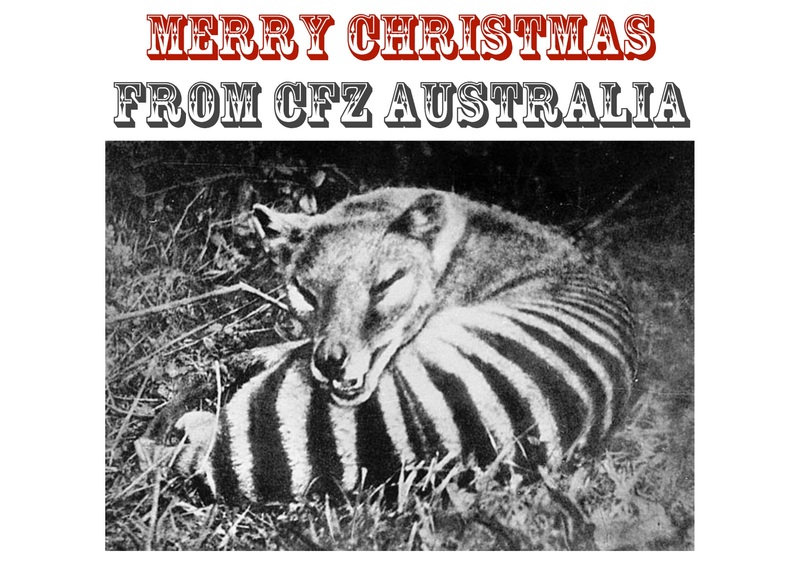 *Barnstaple is not far from the headquarters of the CFZ UK - If they never find the owner, perhaps Jon Downes could take it in! 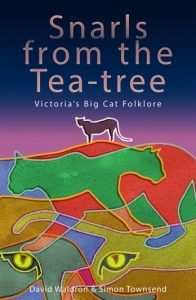 The Australian big cat phenomena gets the academic treatment from David Waldron and Simon Townsend, who have penned an examination of Victorian reports in their new book Snarls From the Tea-tree: Victoria's Big Cat Folklore. 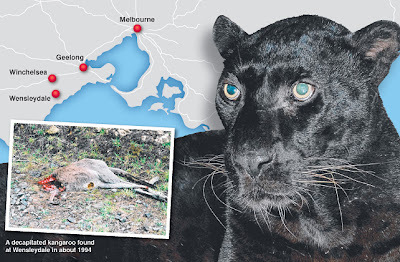 Big cat scares have for generations haunted Victorians; stories of stock killed, claims of paw-prints left behind, rumours of 'beast' attacks only breeding the 'myth'. 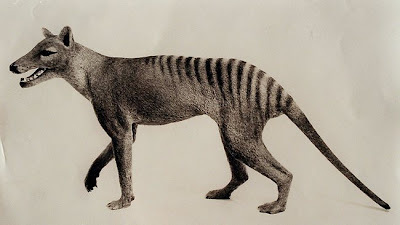 Often there was a large local response, with massive bushland hunts that focused on the notion of escaped lions, tigers or other big cats. The 'myth' of the big cat has evolved over time, but relates closely to Australia's engagement with its environment. 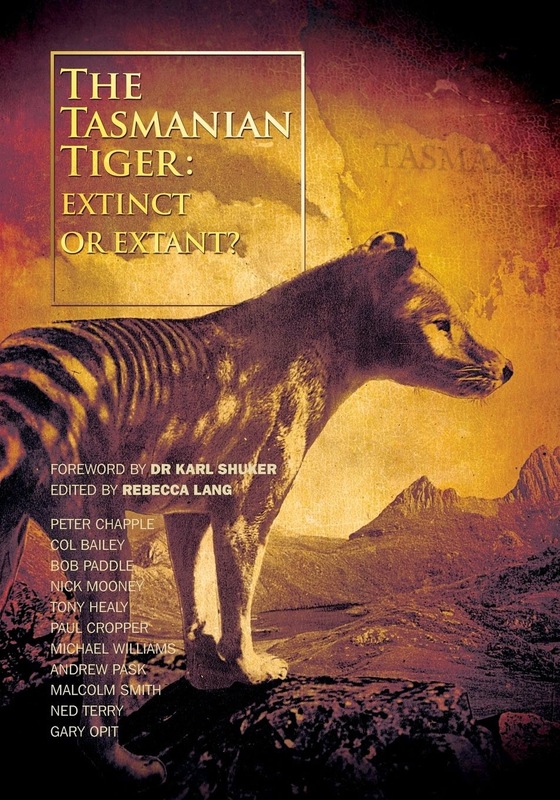 Waldron and Townsend study this big cat folklore evolution across Victoria. The Australian orders for Volume One of The Journal of Cryptozoology will be sent out shortly. Thank you everyone for your support, this will be an unbeatable read! 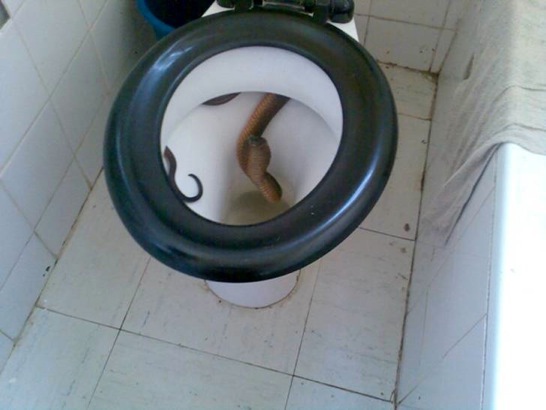 Funny how the job advertisements at these mines in Outback Australia always skim over the 'small' things, like having to live with hundreds of other sweaty, dirty men, paying a fortune to live in a caravan and...having to fish deadly snakes out of toilets! This sequence of photos is doing the rounds in Australia, and supposedly harks from an unnamed workplace in the Pilbara region of Western Australia. 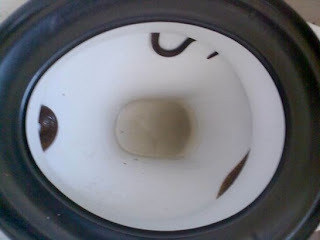 This fierce creature was found tucked up under the toilet, hovering just above the S-bend - thankfully before the photographer settled down on the seat. Perhaps a redback spider would have been preferable after all! And for the snake-phobic, there is really only one way to deal with such an inconvenience...but wouldn't have been easier going behind a bush? 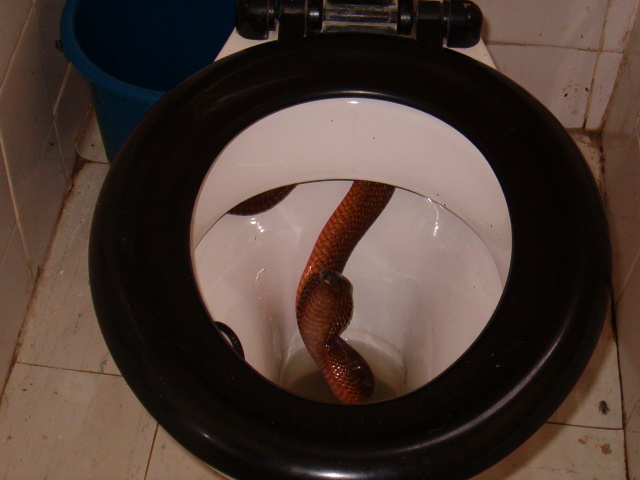 No word on the snake's fate. Check out the promotional video for the upcoming exhibition at the CFZ HQ in the United Kingdom! 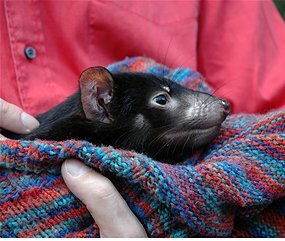 Three Tasmanian Devils have been enjoying the fruits of freedom in WA after escaping from Peel Zoo. One of the devils has already been caught and returned to the Zoo. 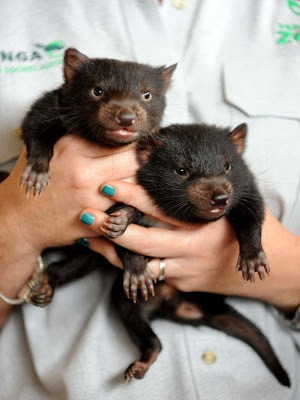 The four-month-old male devils - Itchy, Scratchy and Genghis - escaped from Peel Zoo, on the outskirts of Pinjarra, south of Perth, after a tree smashed their enclosure on Tuesday. Zoo owner David Cobbold said Scratchy was found at about 3am today but the other two hand-reared animals remained on the loose. Mr Cobbold said two men chased Scratchy through the bush and trapped the animal against a fence before wrapping it in a towel. 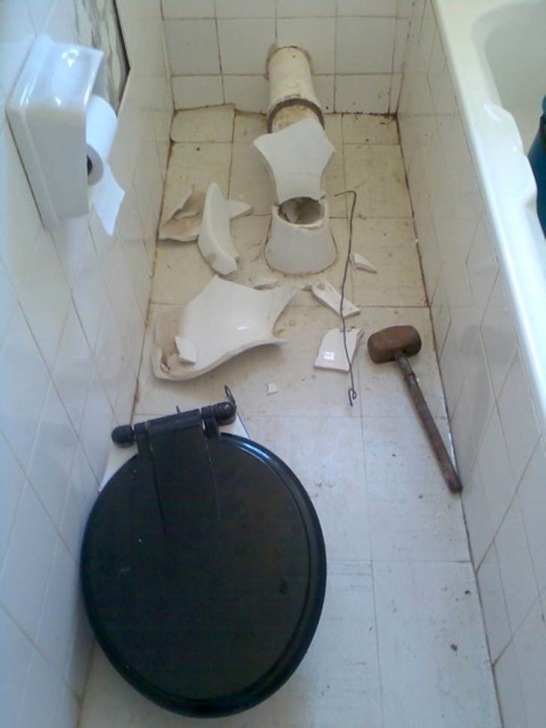 They then secured it in their bathroom, but Scratchy clawed its way through part of the plasterboard wall. Mr Cobbold thanked the men but said people should not try to handle the animals themselves. 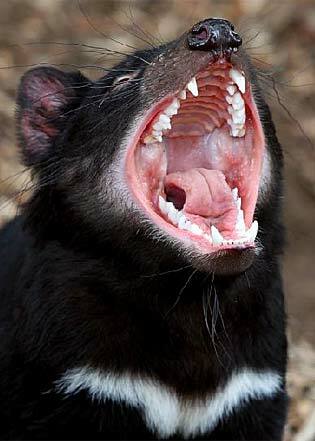 "The capture proved devils aren't as dangerous as their reputation suggested,'' he said. 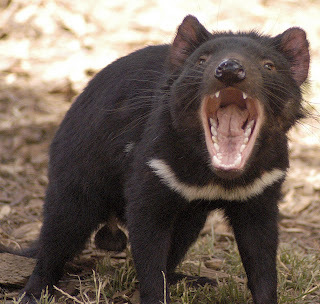 Mr Cobbold has urged members of the public who see the remaining two devils to call him on 0400 788 289. A truckdriver reported seeing "little bears" crossing South West Highway near Pinjarra on Friday and paw prints were found around the town's golf course. Over at the Nature Glenelg Trust they've published this fascinating snippet, something from the archives detailing the discovery of a skeleton of a mainland Tasmanian Devil. Nice one guys, thanks for sharing!